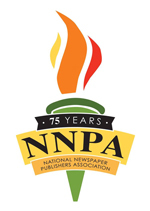 The current dispute over the rising costs of the paper product termed “newsprint,” because of tariffs on Canadian newsprint threatens the future of member publishers of the National Newspaper Publishers Association (NNPA) and could further isolate and disenfranchise Black businesses and communities in cities and towns across the United States. Import duties the U.S. Commerce Department is now applying to Canadian-made newsprint are already increasing costs enough to prompt layoffs and scaled-back news coverage by some of the nation’s major dailies and weekly publications. If these tariffs remain in place, scores of newspapers with smaller circulations, notably those that serve Black communities, could be forced to cease publishing a print edition or close altogether. During the past 191 years, the Black Press has survived, endured and overcome firebombings and improvised explosive attacks, as well as other deadly manifestations of racial violence. The newsprint tariffs appear to have been put in place by the Trump Administration after being encouraged by the interests of a single paper mill in Washington state called NORPAC. NORPAC argues that Canadian government policies give Canadian paper producers an unfair advantage in the U.S. market. NORPAC says the added duties, or tariffs, at the border are protecting it. NORPAC can fight for its self-interest but the U.S. government has an obligation to consider the impact the tariffs are having on the nation as a whole, and in particular the impact on Black-owned newspapers and businesses. The NNPA is proud that its 215 member-publications are moving forward even in the face of these new contrived dangers and obstacles in the marketplace. Our newspapers enliven and inform the debate within Black and other communities that we serve and help to empower with news, information, and the reaffirmation of the vitality of Black cultural genius and excellence in all fields of endeavor. Our printed editions are especially important in communities where people are less likely to be able to afford or take full advantage of broadband Internet access. However useful today’s technological innovations are in sharing information. For many people, there is no substitute or affordable alternative to the local weekly newspaper of, by, and for the Black community. Our newspapers are the lifeblood for our communities. If there was ever a time when the country needed a range of authentic and “trusted” outlets to share news and perspectives, it is today. In today’s world, the newspapers that serve Black communities will continue to play a crucial role. Errant trade policies and duties championed by a single company must not be allowed to diminish the meaningful role of the Black Press of America. Dr. Benjamin F. Chavis, Jr. is the president and CEO of the National Newspaper Publishers Association (NNPA) based in Washington, D.C. Dr. Chavis can be contacted at dr.bchavis@nnpa.org. 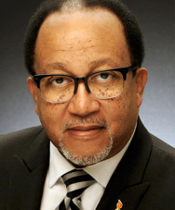 Follow Dr. Chavis on Twitter @DrBenChavis. This article was originally published at www.BlackPressUSA.com.